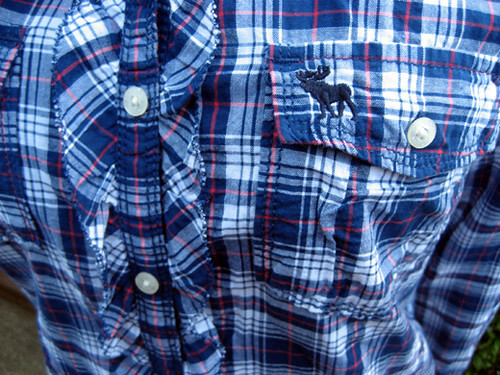 This is a plaid ruffled shirt from Abercrombie&Fitch. Wonderfully prissy plaid top is featuring soft cotton,and a frill trim at either side of the central button panel. 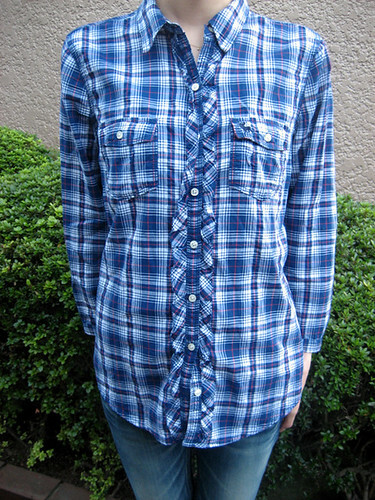 This light and lovely plaid shirt looks great with jeans or a denim skirt for day.